An unstoppable trend is pushing accountants into the job of setting up and managing apps that connect to cloud accounting software. Rich Preece, VP and leader of Intuit’s accountant segment, made the call at Australia’s QuickBooks Connect, which swept into Sydney last week. Here’s the rationale: To automate the legwork in accounting, accountants need businesses to use apps to collect and categorise their data more efficiently. The most obvious category is expense management (think Receipt Bank, Concur, Expensify, etc.) but also for time sheets, rostering and so on. Businesses will baulk at setting up and paying for these apps if they have to do it themselves. They are more likely to give it a go if the accountant does it all for them, for an increased monthly fee. The implications are enormous. Few traditional firms would want to look at any software that wasn’t accounting. Even cloud-minded firms limit the number of apps they deal with out of necessity; the ecosystems for Xero and Intuit contain several hundred programs. It will likely mean firms will need to hire an in-house app expert to do set up and train staff in how to manage the apps. The longer term upside is that jobs should be more profitable, as these ecosystem apps will contain source data that accountants usually waste many hours a year chasing. It also opens the door to advisory services such as business process automation and workflow management. Intuit is adding more tools to its practice software that will help accountants recommend apps. 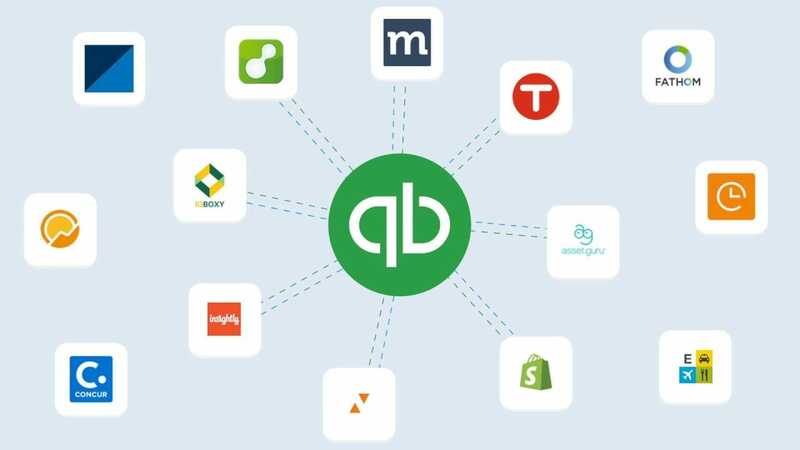 Accountants can also use QuickBooks Online Accountant to provide unified billing for QuickBooks and ecosystem apps. Accountants who sign up clients through QBOA get a sizeable discount on the sticker price for those apps which they can choose to pass onto the client. Other interesting tidbits: Intuit’s direct-to-consumer model works in Australia and other countries just as well as in the US, where it built an 80%+ market share; Intuit will more than likely make business and personal loans to self-employed as well as businesses through QuickBooks Capital; and the business case for accountants to take on QuickBooks Online Self Employed clients is, well, still a little shaky, despite a swelling market. Digital First: Why do you want to incentivise accountants to do the billing for the clients’ apps in the ecosystem, as opposed to the client paying for the apps separately? That’s literally the talk track that accountants have said to us for 18 months and so that’s what we built. And frankly the fact that you get a discount. There’s a reason I don’t start with the discount, it is really the cherry on the cake. Digital First: So, then logically you feel like tech skills of some sort will become essential for accountants? If you’re setting up Practice Ignition or if you’re setting up Expensify, and so on. Rich Preece: Well, you know I think so. This is the reality of the cloud adviser versus the accountants and bookkeepers. Imagine you and I are both accountants and you provide a service where there’s two or three apps that I need and you’ll take care of it for the small business. And I provide a service where I don’t take care of (the apps). If I’m that small business, I’m probably going to work with you versus me. I just think that’s a reality. The last thing we want is to have an accounting professional feel like now they have to be a technical expert and write lines of code. That’s not where any of this is going. But if we can make it easy we will need to put the control in the hands of accounting professionals. And if an accountant says, “That’s not for me,” I feel like over time they’ll probably become less effective in their own industry. Digital First: I hear Intuit is putting a lot of money into TV advertising, and people are wondering how effective that is. Intuit has a dominant share in the US built on direct sales to SMBs. But in Australia the accounting software companies have sold through accountants. Does the direct model work in Australia, UK, France, Brazil? Rich Preece: It does. I’ll start by saying yes we’ve increased money on spend and it’s in two areas. One is the “Backing you” campaign which has been really successful for us in the US. It’s because A, it truly is the message we want to send and then B, because it’s been well received. We wouldn’t spend more unless ultimately there’s a business model there. We’ve been increasing our investment, but it’s with a good return. The second area where we’ve been increasing our investment in terms of marketing is on the Intuit brand itself. There are benefits to having the Intuit brand and one of those is attracting talent. So in the US you’re quite right when you say most of our customers historically – and still – come direct. If we’re friends and I’m opening up a small business, I say to you, “What do you use?” And chances are you use QuickBooks, so before I ever get to my accountant or bookkeeper I’m already going to the website and probably buying. Outside the US it’s far more balanced; it’s roughly the same in terms of accountants and bookkeepers and direct. The competitors that you mentioned have always been more so on the accountants and the bookkeepers, and I do think it’s because it’s a channel. I think the definition of a channel is, the more somebody buys, the less they pay. Whereas if you look at us it’s like a wholesale billing with a discount. Digital First: So, the short answer is selling accounting software direct works globally, full stop. Rich Preece: It does. And then at the same time obviously I would say accountants and bookkeepers are critically important. Digital First: Why is Intuit making such a big deal about QuickBooks Online Self Employed, given that it must have the lowest ARPU (average revenue per user) of all your products? Where’s the payoff for Intuit, and where’s the payoff for accountants and bookkeepers? Rich Preece: The first answer is yes, it is a lower ARPU, typically it is $7 to $10 a month. At the moment it doesn’t have an app ecosystem. The reason why we’re so excited is if you look at that gig economy, it’s huge and exploding. And so we believe that we have to build solutions for those people. Now it is obviously a thin slice of the functionality that QBO has. SE allows you to understand what is a personal expense and what is a business expense. The monetization strategy is that some of those folks will continue to grow (to the point) where they do need a different version of QuickBooks. Like an Uber driver that ends up with two or three cars. They actually grow into a small business from someone that’s self employed. So that’s one strategy. As you might imagine, we’ll look to set up APIs into Self-Employed. That’s absolutely something that will be worked on. We’ll look to take pieces of QBO and add it on, so maybe you’re a self employed person that just needs inventory. And then separately for monetization model it’s sort of like building those pieces around a bit more bespoke. Digital First: But what about things like QuickBooks Capital and lending to self-employed? Rich Preece: While it’s not going to happen short term, we would absolutely open that up to Self-Employed customers as well. Digital First: For business loans or personal loans or both? Rich Preece: Well at the moment we would think about it for business because that’s where we specialise and we have no intention right now for personal loans. But QuickBooks Capital continues to be very, very successful and we are very excited and bullish about it. Digital First: Can you give me stats on that? Rich Preece: What we learnt very quickly was 70 percent of the people that we were approving had already been declined somewhere else. So that was very good. Then banks like Bank of America were offering lower rates based on QuickBooks data than they were to their own customers. In the last 18 months we started to put our own balance sheet on the platform and we tried to lend it to people that were not going to get approved by anybody else. Again, based on QuickBooks data; we’re not just throwing money at people. There’s an algorithm that sits beneath this. And what you’re looking for is default rates to train the algorithm. And one of the biggest challenges that we’ve had is those low default rates. We keep loosening a little bit to who we lend to based on what we’re looking at. It’s been very successful in getting many, many millions of dollars into the hands of small businesses on a very regular basis. Digital First: What is the default rate? Rich Preece: Well I doubt we’ve announced the default rate. One of the biggest things the team is always talking about is, you need people to default to help the algorithm get smarter on who not to lend to. And that’s been one of the biggest problems. It’s a very low default. It’s a wonderful problem to have, in a strange way. Digital First: Lend to me, I’ll default for you. Rich Preece: The second question was the importance of QuickBooks Online Self-Employed (QBO SE) to accountants. That’s a really good question. When we first conceived and launched Self-Employed, the reason why we didn’t integrate with the QuickBooks Online Accountant (QBOA) was because we hypothesised that accountants wouldn’t be hugely interested in QBO SE clients, and that these clients wouldn’t be hugely interested in accountants and bookkeepers. One of the surprises we had was Self-Employed folks were asking us to connect them to accountants and bookkeepers on the matchmaking platform at the same rate as small businesses. So then we knew that on the one side of the equation, they actually did need an accountant and bookkeeper, but obviously they didn’t often have the ability to pay quite as much. And on the other side, accountants often said I’m not sure I want this client because they can’t pay quite as much. So first of all we decided to start integrating (QBO SE into QBOA) for those who wanted to work together. Then we started to see accountants in the US carve off one or two employees and have them manage Self-Employed clients under a different business model. A number of firms in the US spend a limited amount of money advertising to self-employed, whether it’s Uber drivers, folks who sell things on Etsy, whoever it might be. They attract people to a free webinar, literally 100 people a month, and the accountant says, “For 30, 40, 50 dollars a month I will be your accountant or bookkeeper, I will provide you with a copy of QBOSE, and every month there is a webinar which you will attend in a group and I will share the most important things in terms of tax deductions for Self-Employed, we’ll answer a few questions. And then at the end of the year you’ll have a one hour face to face consultation with a tax professional at my firm.” And what they’ve found is, if you can start to get 100, 200, 300 folks, this thing can start to become a division of your accounting firm. That actually has some healthy margins to it. And so this is in its early stages and we just have a few of the firms in the US who are ProAdvisors who have started to kind of do this, off their own bat. We haven’t been doing anything to help them particularly. But I personally find it interesting and I would love to see whether it’s Australia or other country’s folks testing that or other business models, because ultimately the short answer to your question is, they have to create a slightly different business model but its scale, I think, is quite interesting, particularly when you think about the growth in a segment. Digital First: It just feels very unlikely to me that many accountants will want to do that. Maybe it’s an H&R Block model or something like that because those numbers, when you look at the margins you’re going to make on that compared to a regular business… Just booking 200 one hour meetings a year for that amount of money net a year, which is maximum $600. Rich Preece: My personal thought is, particularly as I look at the number of self-employed, accountants and bookkeepers who lean into it are likely going to be rewarded. If you’re an accounting firm today in Sydney who advertises that you specialise for these people, you probably don’t have a huge amount of competition. If you can figure out this model, and maybe it’s 60 bucks a month, you figure out the right price point, because in the future it will be competitive. Fascinating and in-depth interview. Thanks, Sholto! Great interview Sholto. One of the things we’re training all of our accountancy team in is Zapier, and getting them thinking about how they can connect apps for our clients. And if there is no natural connection, can we create one. Helping our clients to create the optimum ecosystems of apps and connecting them correctly is key. Theres no doubt accountants and bookkeepers will have to play a larger role in recommending and implementing add ons to their clients on their journey to becoming a Cloud Adviser. The apps they will naturally gravitate towards are the apps they use internally themselves that connect to the accounting file that fall in the areas of benchmark reporting, receipt and document storage, client management and digital marketing. A firm that adds skills and resources to offer these add ons as it part of their advisory services will add value to their client relationship. However, there are hundreds of add ons in the ecosystem and I think the drive to push accountants to become app advisers will always have a limit as to the number of apps they choose to support. A partnership with a Cloud Integrator with specific vertical focus will always provide complimentary services to allow the firm to continue to add value to their client relationship as their Cloud Adviser.